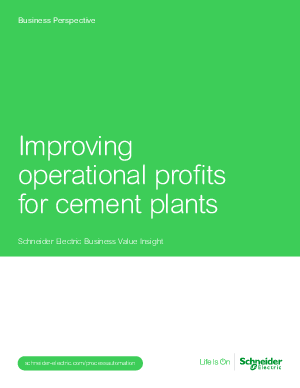 Cement plants are some of the industry’s most energy-intensive manufacturing and production operations; as such, there is a great need for operational profitability improvements (OPIs). The energy consumed, especially in the kiln, can represent the primary cost of operation. Since many cement plants function with very tight staffing, improvements tend to be the result of reducing the energy costs, ideally — but not always — paired with increased production and reduced waste.